With this comes the management of cash flow, properties and businesses. RED Securidad's founder, security expert Mr Angel Ruiz has built this company over the past years tailor made to suit the market requirements. 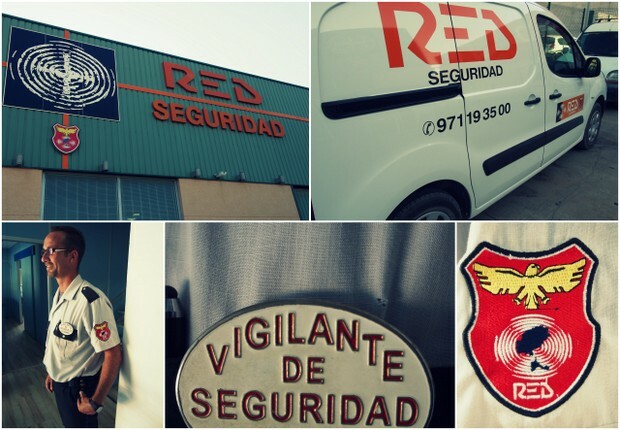 RED Seguridad is today, one of Ibiza's leading security solutions for properties, hotels, local businesses and people. Angel Ruiz is passionate about security. He trained in Criminology, has vast knowledge and 25 years experience in the security sector. He believes in maximum security by combining technology with human resources and has built RED Seguridad on these principles - leading technology and well trained team. He personally selects his team, engineers and well respected "vigilantes". RED Seguridad runs regular workshops to train the team and keep them prepared to react to any circumstances. The team of RED guards known as "vigilantes" is one of the company's selling points - they are known to be quick, efficient and secure. RED also offers an unrivalled service as it is a company located on Ibiza offering some of the most established security solutions because of local market knowledge. Angel and his team visit each client and property to review and recommend the most suitable solutions based on their knowledge. When we meet Angel Ruiz he tells us how he believes in a fusion of technology and people as well as offering a tailor made solution from small to large private residences, villas, businesses, hotels and agroturismos. He is always adding new products to his portfolio which include different options for customers to choose from Germany to Japan offering everything from alarms, sensors, cameras, safes and fire extinguishers to suit any requirement and budget. The "vigilantes" - an added value service where customers can opt to have an option where a security guard will come out to check your property.